Davey and I tried out a new craft project the other day. I’d learned about it on pinterest. I can get on pinterest and spend about a year there. So much cool stuff. 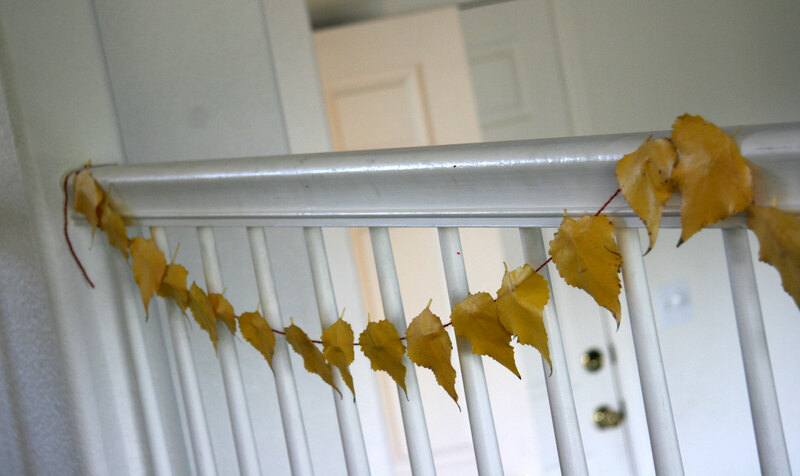 So we made a leaf garland. Davey and I went outside and gathered leaves. A big bowl. I had big plans for a big garland. 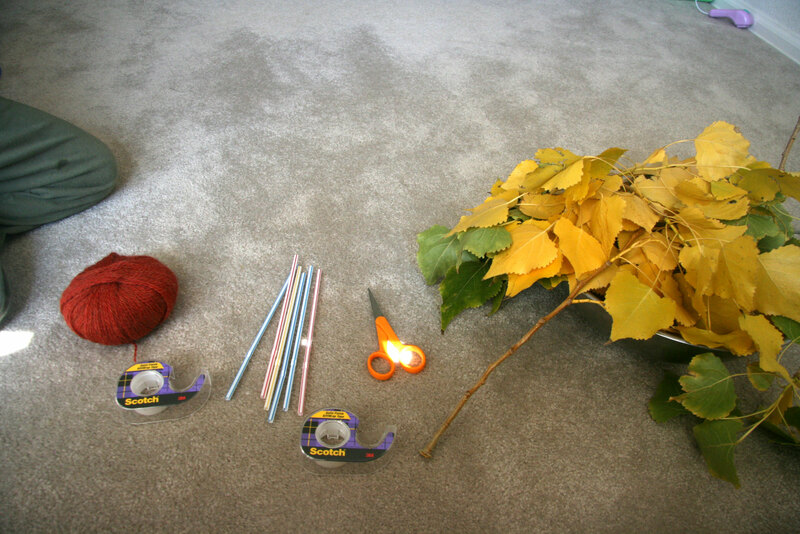 We arranged our necessary supplies: yarn, scissors, straws, tape and leaves. 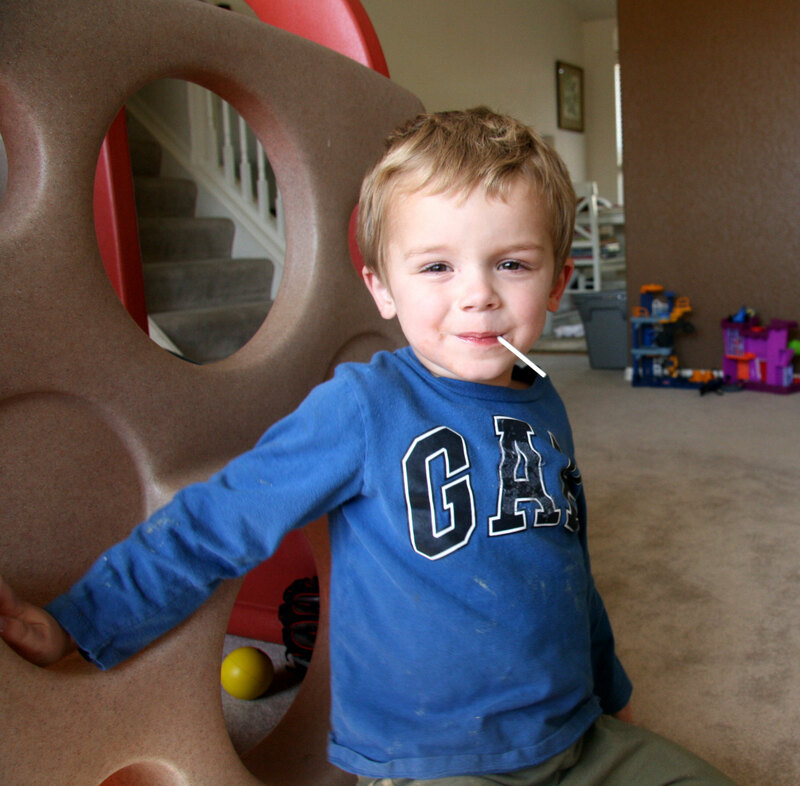 My little helper was at the ready – lollipop hanging out of his mouth. We cut up the straws. 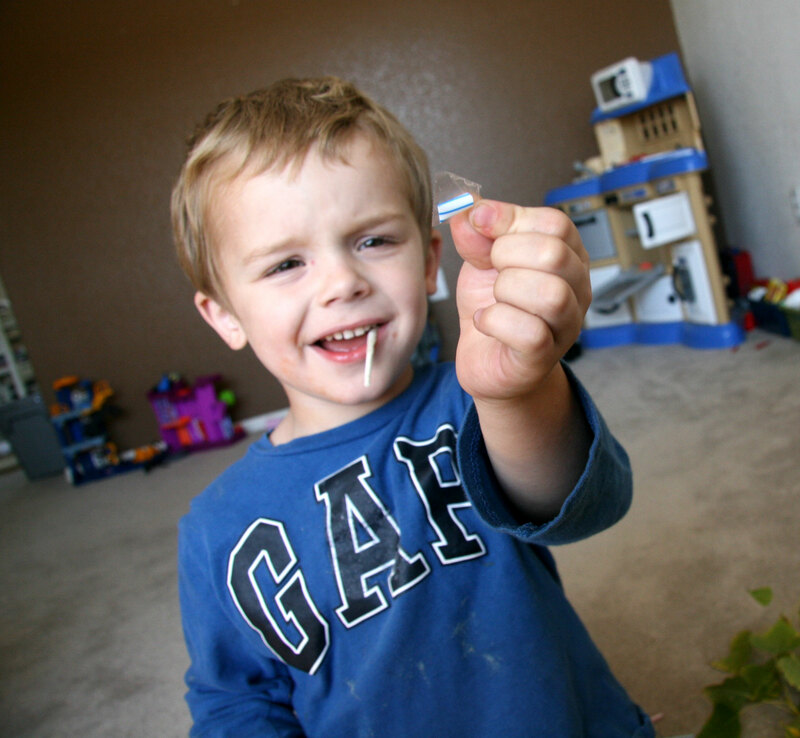 When you cut straws, they go popping and flying all over the place if you are not careful. Davey helped me for awhile. We had to cut the straws and tape them to the back of the leaves. Then you ran the long length of yarn through. After awhile, I realized that it would be easier to run the yarn through the cut straws first and then tape in place so that I could tape more securely. It requires having an idea of how much garland you want to make. While this was kind of fun, I quickly realized that I didn’t want to make that much garland. Davey quickly grew weary of the process. 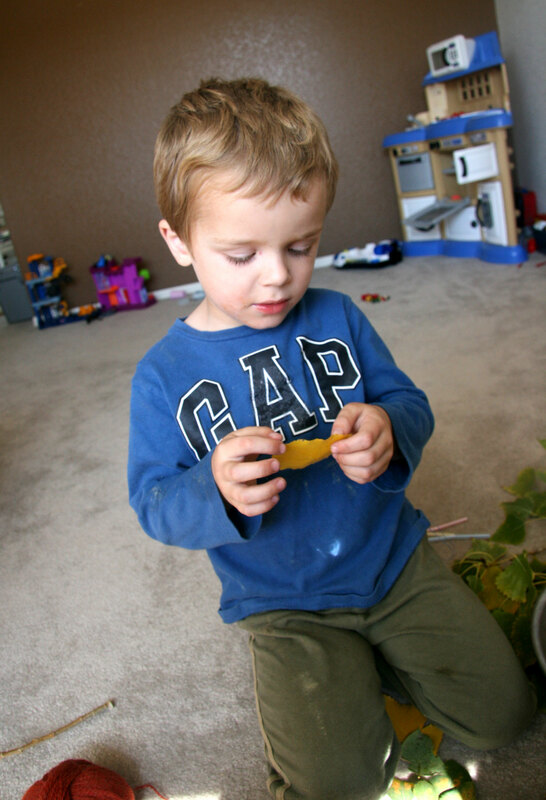 His little hands were not quite ready to tape bits of straws to backs of leaves (with small bits of tape.) He handed me leaves and straw pieces for awhile though. The garland turned out pretty. The leaves are drying out pretty quickly. I guess we will need to remove it before it crumbles everywhere. Although it would add a little color to our general state of Davey-messiness that fills the house. 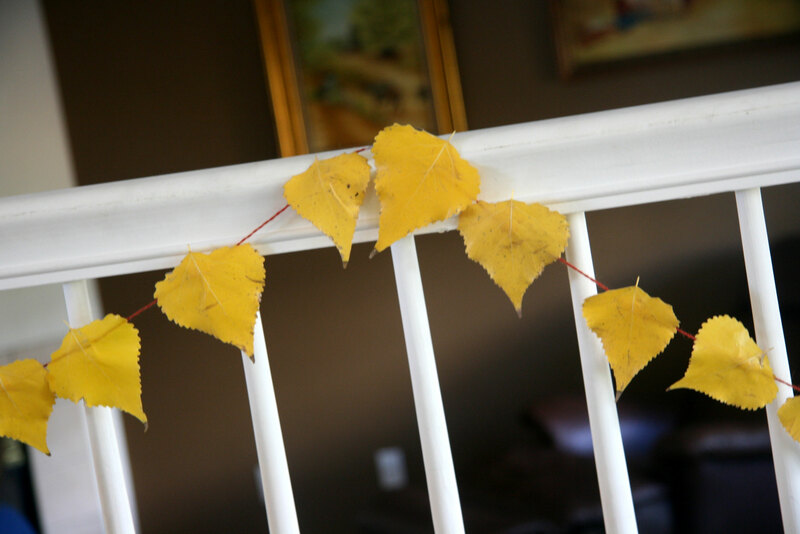 This entry was posted in Crafts and tagged craft, Leaf Garland by cpeezers. Bookmark the permalink. So cute – you got a great little helper! I love it! 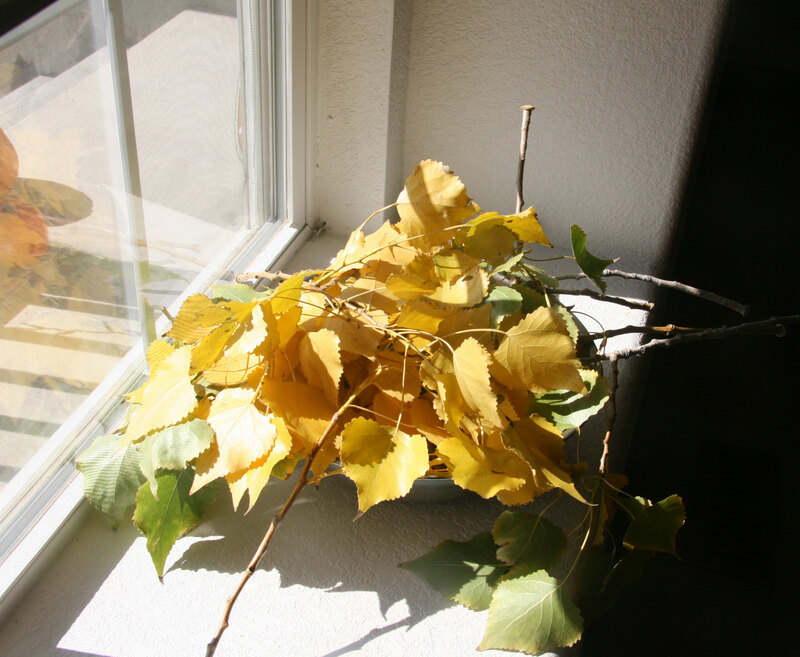 Are those aspen leaves? ?